Millionaire Migrants to Undergo Forensic Audits by Canada - Canada Immigration and Visa Information. Canadian Immigration Services and Free Online Evaluation. The new millionaire migration program to be launched by Canada soon will require applicants to undergo intensive background checks and scrutiny by private-sector forensic accountants and auditors, according to tendering documents on a government procurement website. Although no official announcement has been made about the upcoming Immigrant Investor Venture Capital (IIVC) program, the documents on the procurement website point to a new thorough and extensive examination process being implemented by Citizenship and Immigration Canada, aiming to ensure that all the wealth invested under this scheme is lawfully obtained by applicants. In addition to financial audits, applicants will also be investigated for any possible history of criminal activity or problematic political involvement. Experts believe that this increased scrutiny might pose problems for potential investors from certain countries. While the Investor Immigration Program (IIP) that was scrapped in June this year had also required proof that the investments made under the program were lawfully procured, applicants were not subjected to as much scrutiny as will be required now under the new IIVC program’s due diligence process. “Now they are talking about a third-party, private-sector, accountable audit, as opposed to an immigration officer looking at a bunch of numbers and trying to come up with a sound rationale for whether the funds were obtained illegally or not,” said one source. The IIP had become increasingly popular among citizens of Hong Kong and China, thousands of who migrated to Canada in the past 28 years. However, a recent deluge of applications led Canada to discontinue the program in June. At the time, about 60,000 applications were pending and had to be cancelled. Under the program, each applicant was required to provide at least C$ 800,000 as an interest-free loan to the Canadian government in exchange for permanent residency in the country. The new IIVC is the government’s promised replacement, although it has been criticized as being completely insignificant because its small quota does not even begin to meet the high demand from Chinese investors. “What I was told was that this was a pilot project for 50 spots. The only reason they are rolling it out at all is because it was mentioned in the budget that they would, so they had to go ahead with it,” said a source from immigration industry. Another report mentioned that the new investment requirement would be between C$1 million and C$2 million, with a cap at C$120 million, thus implying a total number of 60-120 permissible applications. But even so, the numbers are far smaller than the previous IIP. Additionally, Citizenship and Immigration Canada (CIC) has apparently notified immigration firms that under the IIVC, applicants will have no say in where their money is invested, as it will be fully managed by the government. 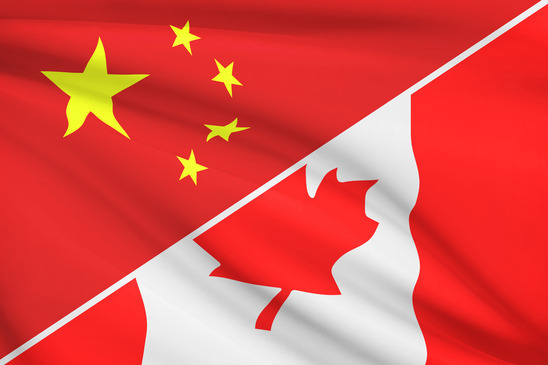 The stringent checks and appraisal conditions for the IIVC have been introduced seemingly because of China’s complaints that immigration programs such as Canada’s IIP had been helping Chinese criminals escape the country. China’s foreign ministry has even accused American and Canadian authorities of not repatriating fugitive Chinese businessmen and individuals. The Chinese government further believes that the US and Canada are the most preferred destinations for white-collar criminals fleeing China. The tender criteria of the new IIVC has further revealed that the documents submitted by applicants will be checked by auditors within a period of three weeks, extendable if required. CIC has also warned that any lack of cooperation from the applicant which hinders the audit work will be noted as well. The final audit report is given to the applicant who in turn would have be submit it to CIC along with the complete application form. This way applicants would have the chance to cancel their applications in case the audits reveal something that puts them in an unfavorable light, like dubious finances or criminal activities.